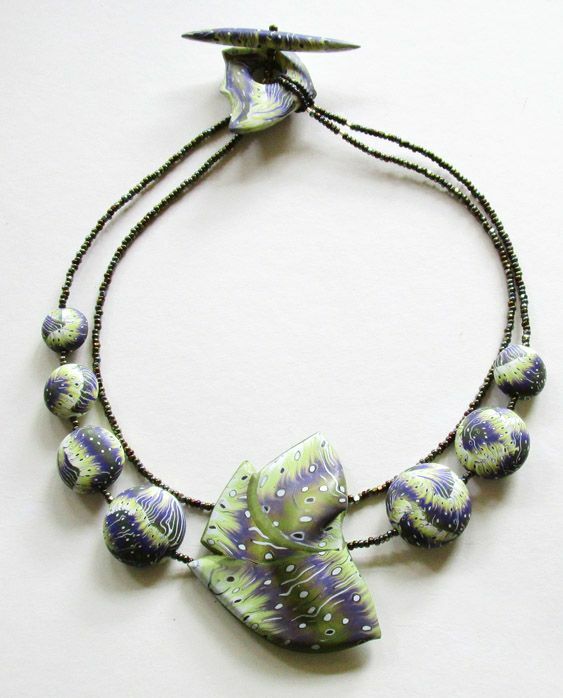 At long last… Sea Flight… This is the necklace that won the award for Excellence in Polymer Clay at the 2014 CraftWear Exhibit at the League of NH Craftsmen’s Fair at Sunapee. Image | This entry was posted in Musings & Inspiration. Bookmark the permalink. Breathtaking! I want to hold it! Gorgeous, Ann. What an honor to win the award.